Finally...a post about our life in China and not about the kids! Yesterday, Renee and I were having a cup of coffee before heading home after out "weekend getaway." While we were sitting there, a man came in and in halting, broken English told me that he remembered me. He said that we had, "the twin boys (people always think they are twins) , and that he saw us at a meeting." I pretended like I remembered him, and stated chatting with him. Within a minute or so, why he came in, became clear. He told me that he also remembered me because of my hearing aid. That he likes it, and was wondering if it was expensive. He said in China, it would cost ¥6,000.00 The whole time he was learning forward towards me, and talking VERY loud! For me to feel someone is loud, they are truly LOUD! We ended the conversation a few minutes later, and we went about our business. After he left Renee reminded me that he had said the same things to me a few months earlier. It was very clear that this is something he needs, and was trying to ask for me to get him one. It reminded me how great the need is. It hurts to not be able to help him, or give him any hope that it will get better. 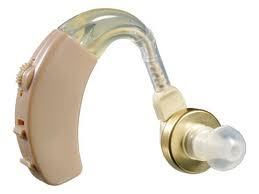 It hurts me, because I know how hard it is not to be able to hear well, and thats with a hearing aid! I know how hard it is without it, and could not image having to live that way. We do so much, yet the need it always greater than the ability to meet those needs. It also reminds me how fortunate I am, that I can buy the hearing aid that I need, that I can get the help that I need. We actually saw him again later that day, walking his Mother to a meeting. He looked beaten down, yet was doing the duty that all children in China have. Sometimes its so easy for people like us to feel proud, and maybe a little egostical. We see the things we have done, and the people we have had a small role in impacting. Yet, its times like these where I am humbled and remember just how far we have to go, how incredibly huge the need is. Its sobering, while at the same time exciting; as we wait for the promised results.